Derick Almena, 48, who started the artistic collective, and Max Harris, 28, the collective’s artistic director, were sentenced to nine and six years in prison respectively in July. However that all changed on Friday, when Alameda County Judge James Cramer said Almena didn’t accept “full responsibility and remorse” for the fatal blaze. 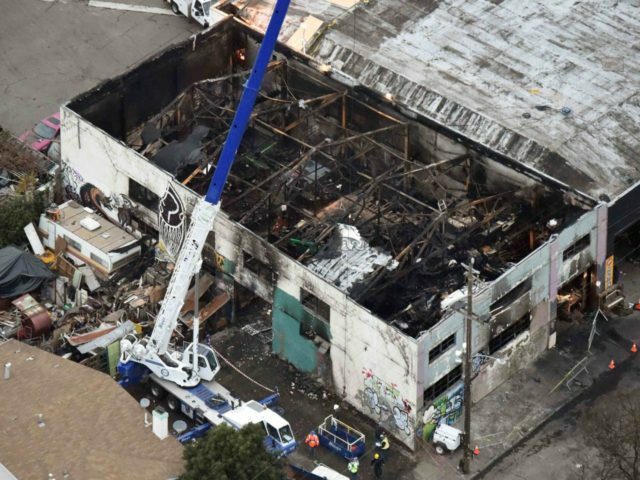 The East Bay Times reported that Almena had been forewarned, in an email nearly two years before the deadly blaze occurred by the son of the warehouse’s owner, that electrical problems could result in a conflagration. An unstable, wooden staircase was the sole way out of the warehouse. Both men could have been released from court after serving just half of their sentences, as is standard practice for California inmates on good behavior. However, the families of the victims slammed the proposed sentences as being too lenient. “I’m guilty for believing we were safe,” Almena reportedly told the families of the victims who were present in court Friday. “I should have died that night. It would have been an honor saving your children’s souls.” He said he should have died along with the victims the night of the fire. Almena, his wife, and his three children also lived in the warehouse. However, the night of the party and blaze, the family decided to stay in a nearby hotel.